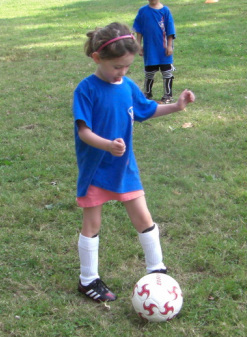 New Years Soccer Clinic: Be Ahead of the Game will be hosting a soccer clinic on Saturday January 4th from 11 AM to 1 PM. We are excited to have Charlie Rugg as a guest trainer. Charlie is a former Boston College stand out and current member of the MLS team LA Galaxy. The LA Galaxy selected Charlie Rugg in the first round (No. 19 overall) of the 2013 MLS Super Draft. Charlie made his debut for Galaxy on April 27, 2013 against Real Salt Lake and also scored his first professional goal in the 13th minute. After the clinic ends, Charlie will sign autographs for the kids. Details and registration information may be found at the Be Ahead of the Game website or click HERE to register.